Percona, the provider of MySQL and MongoDB solutions and services has launched an enhanced version of Percona Sever for MongoDB. 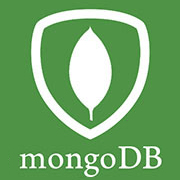 This platform, version 3.2, is the latest release of the company and it has enhanced open-source completely compatible for the MongoDB Community Edition. The new update adds new storage engines, PerconaFT and Facebook’s MongoRocks, and enterprise-grade functionality, which includes simple authentication as well as a Security Layer along with advanced auditing. These additional capabilities provide enterprises with flexibility for managing their datatbase infrastructures. Other added features are complete online backup support of PerconaFT and MongoRocks, an SASL Authentication plugin, remote DBA and an audit plugin, and live support.